They say that there’s nothing in New Mexico but the land beneath you, but for some people, that’s exactly what is needed. 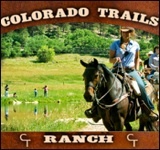 At Geronimo Trail Guest Ranch, some of the most beautiful pieces of it are found here. 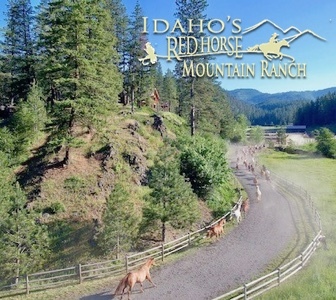 The nearest stoplight from the ranch is found 85 miles away, making this ranch rich with seclusion-induced serenity. 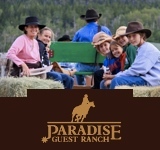 A day at the ranch is up to the guest. 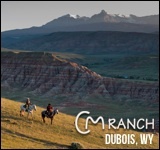 Horseback riding is a must, as the terrain carries visitors across open meadows, through majestic ponderosa forests, down into deep canyons with rugged cliffs & crystal clear streams, and up onto high hills where views stretch for miles across the National Forest. 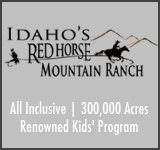 Children’s activities are also offered here — indoor and outdoor games as well as campfires. 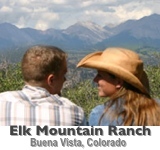 Hiking, mountain biking (bring your own bike), and fishing in the rivers that run through it are all within footstep. ** Acres are part of Gila Wilderness and Aldo Leopold Wilderness.